At an exciting event held today at The Pearl, Ooredoo showcased the true power and speed of Ooredoo 5G with Smart City technology that will be available in the future. 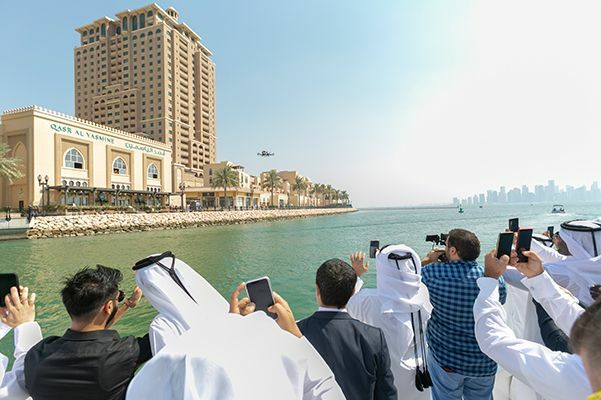 The highlight of the event was the worlds-first Self-Driving 5G connected Aerial Taxi, a large drone-like vehicle big enough to transport two people to a destination up to 20 minutes away with a 130 Km/h speed. 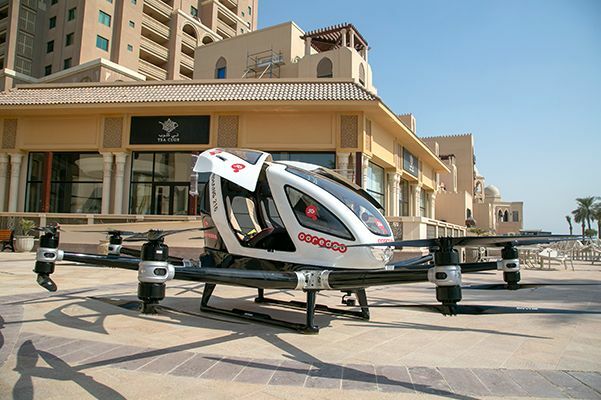 The taxi is automatic and runs on Ooredoo’s 5G network, meaning there is no driver and can deliver passengers safely to their destination above traffic and other time-consuming obstacles. 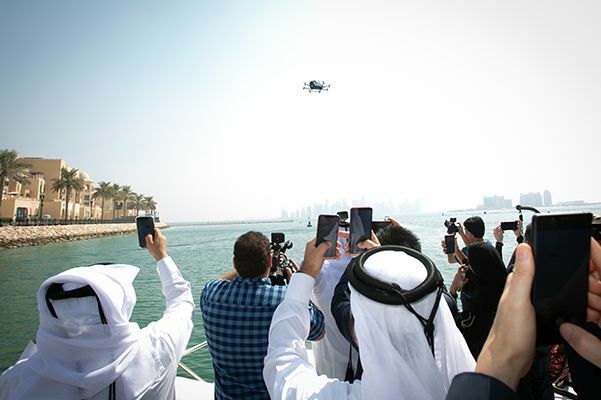 To demonstrate the future of entertainment with 5G, Ooredoo set-up a futuristic 8K VR experience on a modern House Boat in The Pearl. The 8K VR test was ultra-realistic gaming and when connected to Ooredoo 5G offered a seamless experience with no buffering. “Ooredoo is leading global Internet of Things innovation thanks to our world-class 5G networks and we are the clear partner for Qatar’s growing Smart City technological needs. 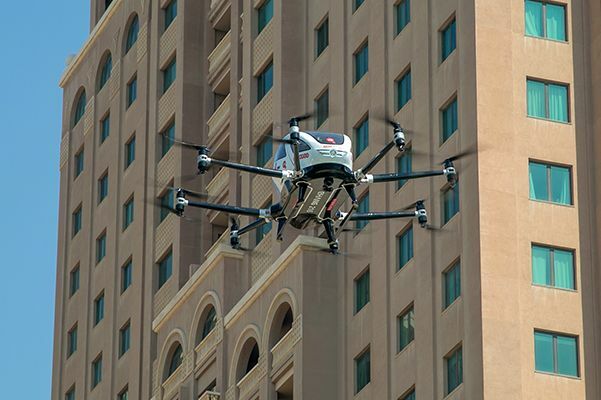 Thanks to our Supernet network and IoT solutions, Qatar will soon be able to offer the futuristic experiments shown today to everyone connected to Ooredoo 5G,” added Waleed Al Sayed. The Internet of Things era is seeing computers integrated into billions of everyday objects, which collect data and communicate real-time insights over ultra-high-speed 5G networks. Qatar is staking an early 5G lead. 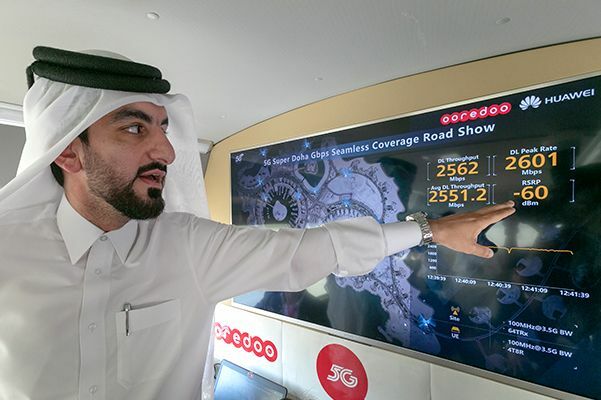 Ooredoo was the world’s first communications company to launch commercially-ready 5G and is preparing 1,200 network stations to be 5G-ready. To see Ooredoo’s 5G roll-out progress, go to www.ooredoo.qa/portal/OoredooQatar/supernet.